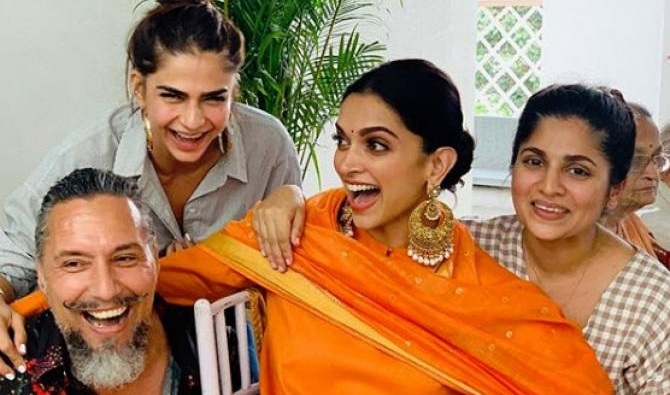 Ranveer Singh and Deepika Padukone’s wedding celebrations have finally begun. Yes, a traditional Nandi Puja is performed at Deepika’s residence. In the pics, Deepika looks gorgeous in a bright orange Sabyasachi suit. She has her hair tied in a bun. The couple is all set to tie the knot on November 14-15. The duo shares the invitation card on their social media account. Deepika and Ranveer will tie the knot in two separate ceremonies, one will be as per South Indian rituals and the other will be as per Sindhi customs. Afterwards, the couple will be hosting two receptions in Mumbai and Bengaluru. Though in the announcement the venue and destination are not revealed, as per sources, the wedding will take place in Lake Como, Italy.